I want you to understand that the head of every man is Christ, the head of a wife is her husband, and the head of Christ is God (1 Corinthians 11:3). As Paul opens a discussion on what is now a controversial topic — that of the wife’s submission to her husband — he grounds the whole discussion of submission in the unchanging, transcultural implications of Christian truth. Paul points us to the fact that submission is part of the very fabric of existence. 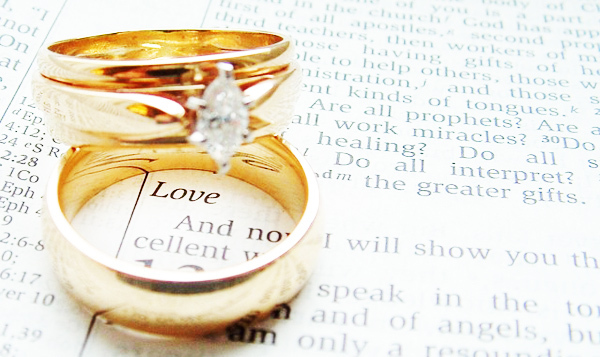 Marriage is a reflection of Christ and his church. Every man has his own authority to whom he must submit. “The head of every man is Christ,” because Christ is the head of every human! Every person in any position of authority always has their authority under the supreme authority of Christ. Jesus is the King of kings, the Lord of lords, the President of presidents — and he is the head over every head of ever household. Yet Paul goes on to unabashedly affirm a distinct order of authority within the home. “The head of a wife is her husband.” Marriage is a reflection of Christ and his church, and so the husband is to love his wife like Christ loves the church; and the wife is to submit to the God-given authority of the husband as the church submits to Christ. But there’s more! All this even reflects the perfect arrangement within the Trinity: the Son of God, being eternally equal in essence and glory with the Father, nonetheless is submissive to his Father. Although “submission” is almost never a positive thing in secular Western culture, some voluntary submission is of course necessary for society to function (e.g. to parents, to employers, to policemen, to IRS agents). Yet to the Christian, the concept of “submission” cannot possibly have a bad connotation in and of itself. Jesus Christ, the Son of God and second person of the Trinity, voluntarily submits himself to the Father to accomplish their mutual goal! Christ submits himself to the will and word of his Father. Of course, God the Son is equal with God the Father. This is not a matter of inferior dignity, worth, or power. Yet Christ submits himself to the will and word of his Father. The Father sent his Son, and the Son willingly lived and died in our place on the cross. And those who submit to Christ as their Savior and Lord are promised forgiveness and eternal life in Christ. Submission is not only at the heart of every civil society; it is at the heart of the Christian doctrine of redemption! Any Christian who is thinking consistently, therefore, cannot possibly despise proper submission to proper, God-given authority. It is important to see that each of the examples of submission which Paul give are pre-Fall examples of submission. Submission is not to be seen as part of the evil in the world; rather rebellion to proper authority is actually at the very heart of sin! Satan rebelling against God in heaven, and Adam and Eve questioning God’s Word on earth. Paul links each of his examples of submission together in a chain, so that if we try to pry apart one link then the whole chain falls apart: if the wife denies the authority of her husband, then she is also rejecting the submission of ever man to Christ and the submission of Christ to the Father. Ultimately, as in everything else in this letter, we are to see Christ crucified as the motivation and goal for all we do. One day every knee will be made to bow and every tongue will confess that Jesus Christ is Lord. Before we ever existed, God was satisfied in his own glorious, tri-personal, essentially equal nature — the Son submitted to the Father and the Spirit glorifying them both. When mankind fell into sin by not joyfully submitting to the authority of God over him, the Son of God willingly condescended to become the God-man, and in doing so displayed perfection to us by joyfully submitting to his Father’s will in everything. Those who now submit to Jesus Christ as God’s only Savior and our rightful Lord are assured that they will live forever in heaven — where they will exist in eternal, joyful subordination to God! One day every knee will be made to bow and every tongue will confess that Jesus Christ is Lord to the glory of God the Father. Will you joyfully and willingly submit to Jesus Christ in your life now?